For many of us, talking about money–and by extension, asking for it–is something that we’re seriously uncomfortable with. It makes us anxious, embarrassed, and some of us straight up refuse to do it. That’s understandable. Our approach to money is often informed by our upbringing, our economic background, and often a cultural veil of secrecy, discomfort, and maybe even shame. It certainly doesn’t help that when we think of money, it’s easy to associate it with the way it can be used to further exploitation, oppression, and inequity. But it doesn’t have to be that way! Dana J Schneider, ioby’s Community & Growth Manager. As ioby’s Community and Growth Manager, I spend lots of time thinking about how to grow our movement for positive civic change–and how to encourage our community to give financially to support it. But it took time, and hitting the phones, for me to feel comfortable fundraising. A number of years ago, before I had much experience with making direct asks, I was running a community organization that had a sudden need for funds because a grant that we were counting on fell through. Without the grant, we were facing a steep shortfall. I was forced to step up and hit the phones and the emails to ask, ask, ask. It wasn’t easy, but I got over my fear and thought hard about how critical it was that we get over this hump and how committed the community was to our work. There were yeses, and also plenty of nos. But soon enough, the donations began to pile up. After a month or so of making asks, I realized that I wasn’t just raising money, I was building and deepening relationships with friends and donors at all giving levels. People appreciated that I shared how important the work was to me, to our members and partners, and they felt a more profound connection to the organization because I told my story. They wouldn’t have been able to feel that had I not reached out to them, and they wouldn’t have stepped up to give in that moment if I hadn’t asked. At the end of the campaign we were not only able to stay afloat, we had even raised extra funds and were even more ready to build our movement than before our moment of crisis! I had overcome my apprehension with asking for money, and it had strengthened our organization. We’re going to explore a bit about how you can make fundraising more approachable too so you can fuel your movement for positive change. 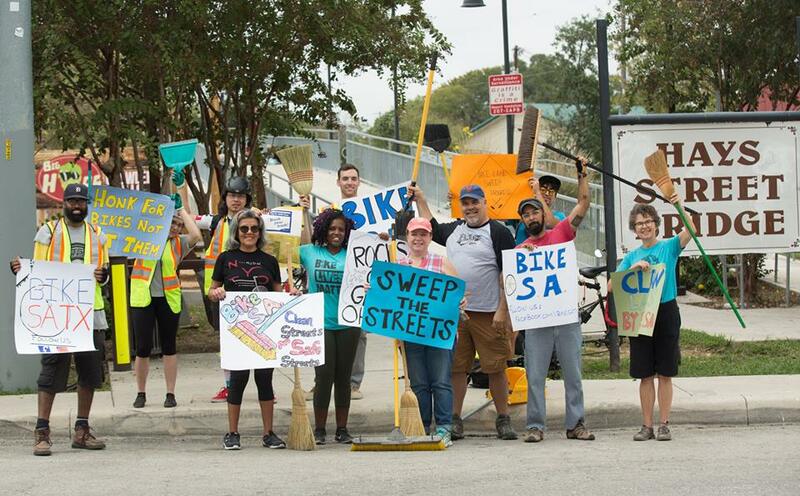 Bike San Antonio leaned on their community of bike advocates to raise funds to formally incorporate as a 501(c)3, and take the next step in their movement for safer streets in San Antonio, Texas. When you ask for money, you’re giving people an opportunity to participate in something meaningful. You are invested in your changemaking project, and you’re focused enough to commit significant–and valuable–time to it. It is a gift to ask others in your community to be a part of it with you, and share a role in the project. That’s why it’s very important that you lead with what has been most impactful for you about being a part of the work, and share your enthusiasm authentically. Asking for money is like asking for volunteers. If you’re like me, you probably don’t have the same feeling of dread when calling volunteers to ask them for their time and expertise as you might when you ask them for donations. But asking for money is just a different kind of necessary resource that makes it possible to realize your goals. 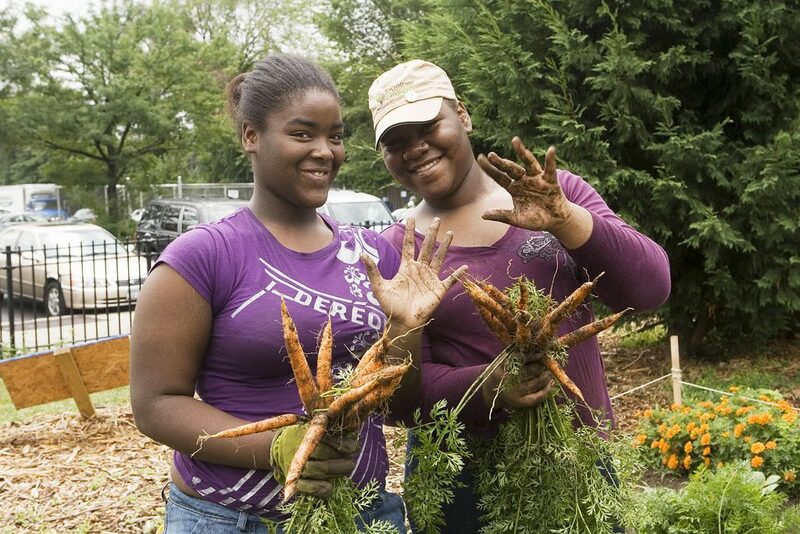 Volunteers at the High School for Public Service Community Farm, in New York City. People can say no, and that’s ok. The people who most often give to a project give because they are asked. And the people you ask are always allowed to say “no,” and that’s ok. You aren’t forcing them to do anything they don’t want to do, and they can still care about and be interested in your work. Refusals are hardly ever personal, there are a million different reasons someone may not be able to give at that time. On the flip side, if you never ask, they can never say yes! No matter how much money your community has or doesn’t have, people can contribute something meaningful in some way, and everyone has a role to play. People who have less often give more, proportional to their income, than those with more wealth! Even when folks can’t give, there can be other ways for them to show their support. Maybe it’s through doing something creative, like getting ingredients donated to bake a cake for a bake sale. The whole point of crowdfunding is to get somewhere big through small steps taken together with lots of people. That’s also how grassroots movements are built, piece by piece, and step by step. The truth is, if you can name 25 people, you can very likely raise $1,000! 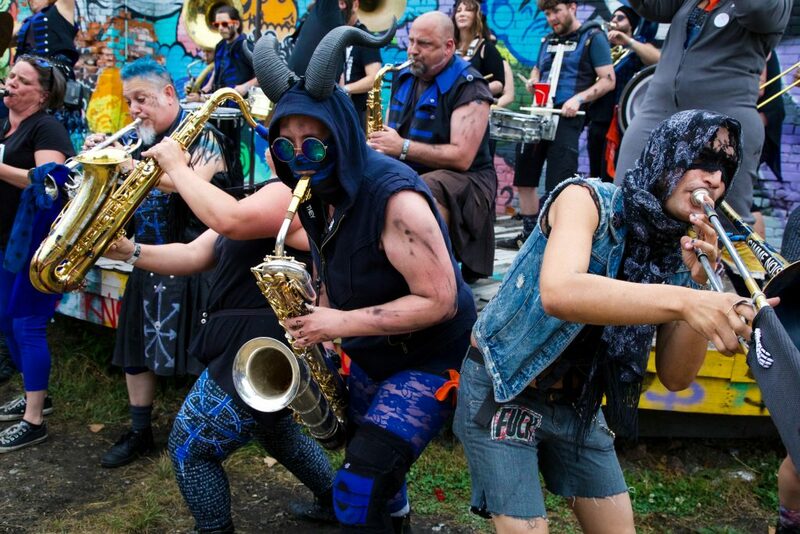 Musicians perform during Crash Detroit, a roving music festival that happens in Detroit every summer. Movements aren’t built in a day. The take hard work, commitment, and (most) movements will take at least some money. Whether it’s for something as big as buying a new building, or as small as buying supplies for signs at your next rally, money is an important resource to keep our movements going and our doors open while we fight for causes we care about. It might sound awful to call up some friends and acquaintances to ask for money to bring your project to life. But if you keep at it, it almost always pays off in both strong relationships with your community of supporters, and in the resources you have to keep at it. After jumping in, you might even decide you like it! Can you imagine asking for money becoming something you look forward to instead of something you dread? Ready to get take the plunge and start making asks for your own project, movement, or cause? You don’t have to do it alone! Share your idea with us, and we’ll help you plan your asks, craft your message, and make your crowdfunding campaign a smashing success. 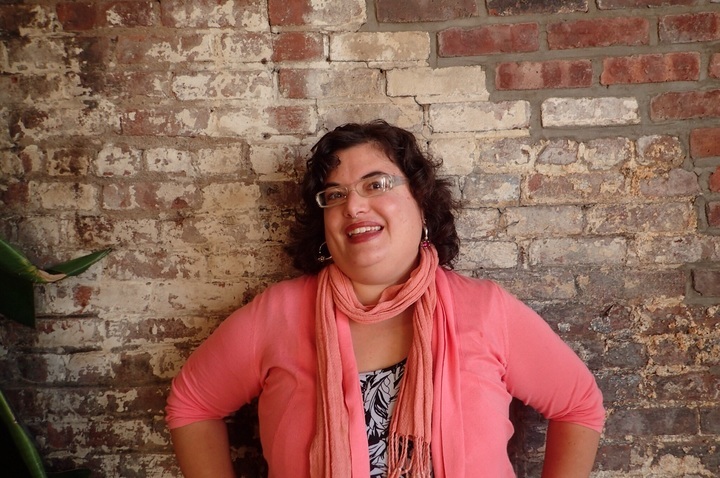 Dana J. Schneider is the Community and Growth Manager at ioby. She’s a born and bred Brooklynite who believes deeply in the power of bringing people together to build community and make change. In addition to over two decades of experience doing work for gender, economic, and racial justice both locally and nationally, she’s also spent more than 20 years as a fundraising professional. Looking to explore more about fundraising? Check out these resources to help you get started crowdfunding for your movement. You don’t need a large budget to make a difference! Check out these budget projects with BIG impact. PS. Did you hear? ioby was featured at BadCredit.org! We shared the power of community crowdfunding in all communities, and the critical importance of giving decision making power to communities most impacted change. Check it out!